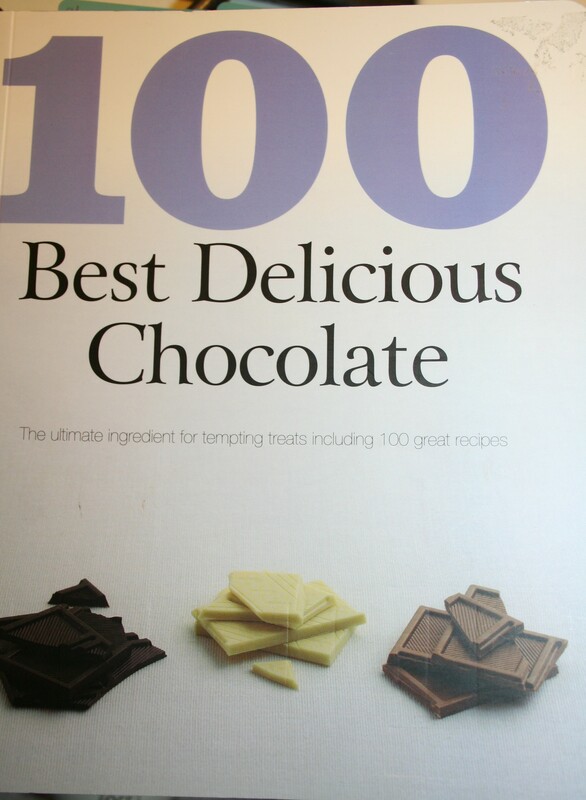 I have a new chocolate cookbook that I received from Caroline for Christmas this year. I already went through it and tabbed a bunch of recipes, and we’ve already made two of them so far, both were delicious. One of them I am going to share with you today. Elizabeth and I made it together last weekend as a surprise for the rest of the family when they were out. Overall, many of the recipes in this cookbook are already “healthified,” made with some healthier options. Today’s recipe is one of those healthier option recipes. Elizabeth was so excited to be the kid in the kitchen this time around! First, let me just say that reading this thrilled me. I think I probably get more like 50% of my antioxident intake from coffee! And second, although I’m being humorous, this recipe actually has coffee in it, which is why I drew your attention to that fact. The cookies were a hard, crunchy cookie, which is the kind I prefer. Everyone here loved them, all thumbs up, and I didn’t think twice about offering them dessert, knowing that I was really providing them with daily doses of antioxidants!! Below is the recipe. 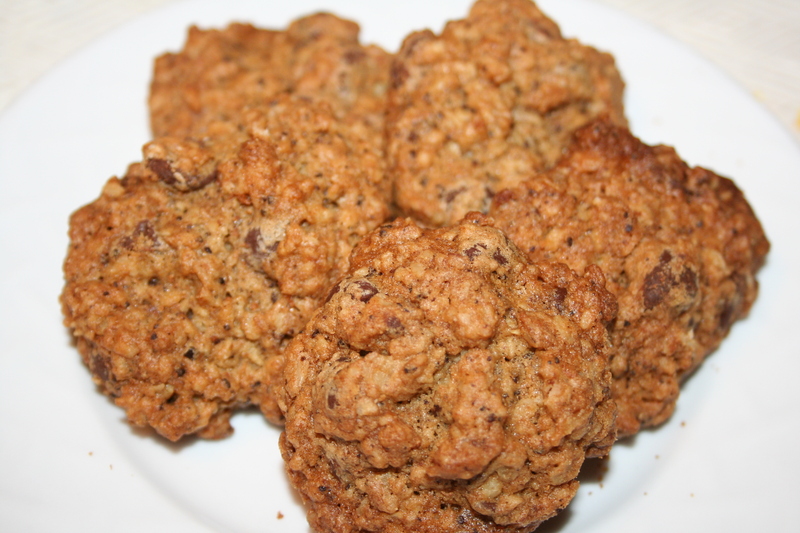 Now keep your eye open for all the healthier choices and you’ll see why these cookies were a superfood in my house! Using the larger of my two Pampered Chef scoops makes our cookies more uniform. Cream the butter and sugar together in a bowl. Add the egg and beat well. In a separate bowl, sift together the all-purpose flour, baking soda, and salt. Then add in the whole wheat flour and bran. 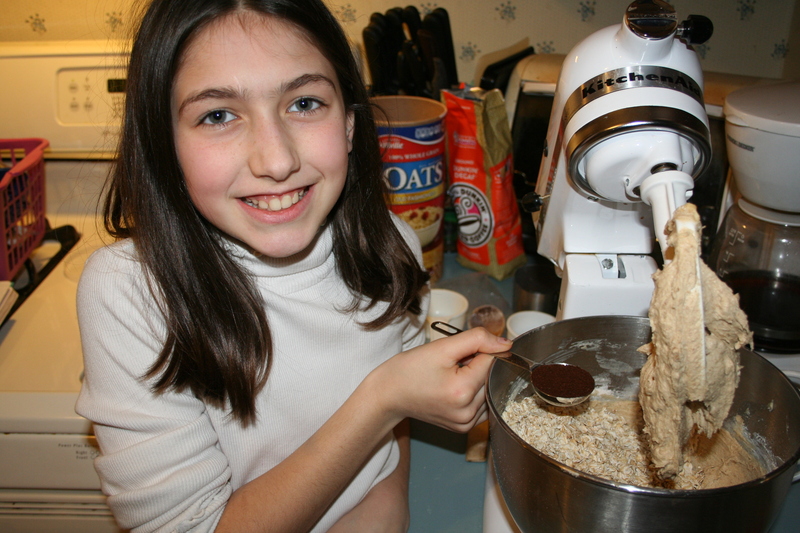 Mix in the egg mixture, then stir in the chocolate chips, oats, coffee, and hazelnuts. 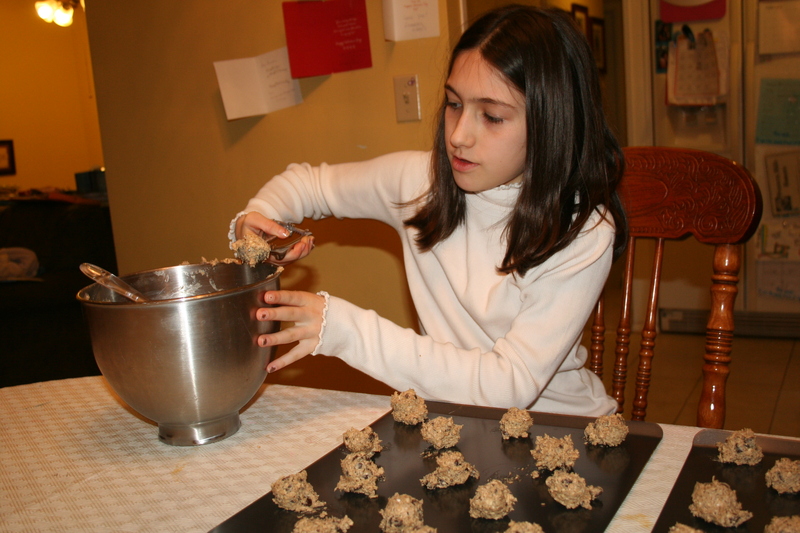 Put 24 rounded tablespoonfuls of the mixture onto the prepared cookie sheets. Remove from oven, then transfer to a cooling rack and let cool before serving.